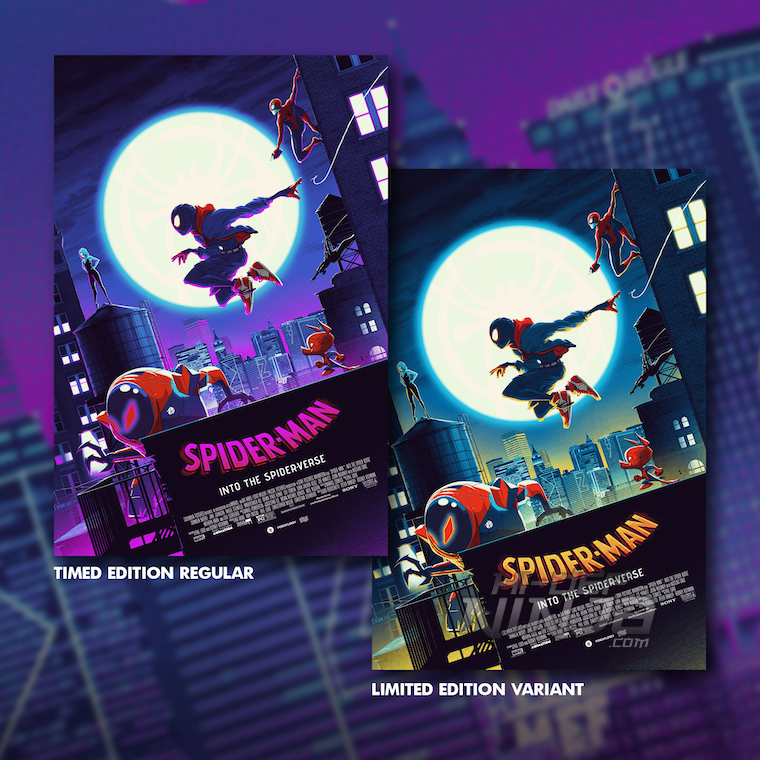 Grey Matter Art, under license from Marvel Studios and Sony Pictures, is very pleased to announce a new officially licensed, limited edition, glow in the dark screen-print for the visually stunning animated feature film, Spider-Man: Into the Spider-Verse. 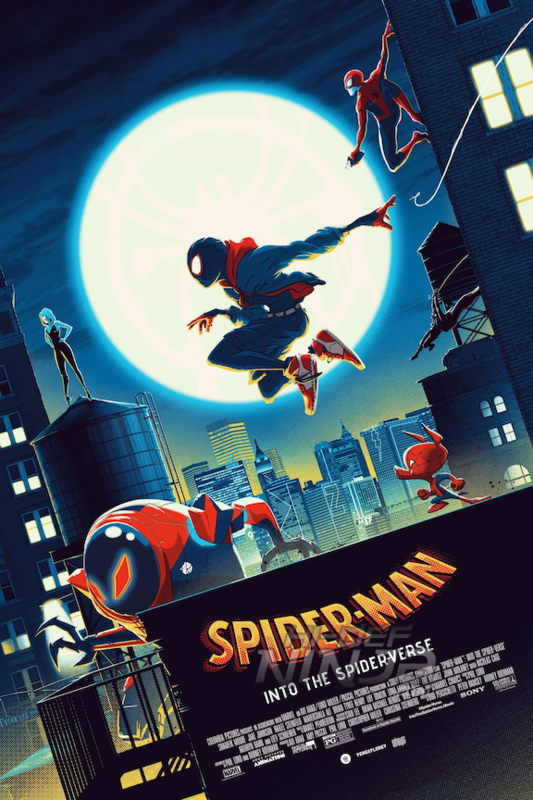 Using the collaborative efforts from artists, Florey, and Matt Ferguson, and in association with Bottleneck Gallery, we are delighted to reveal our first limited edition poster for this film, which these two artists represent perfectly. 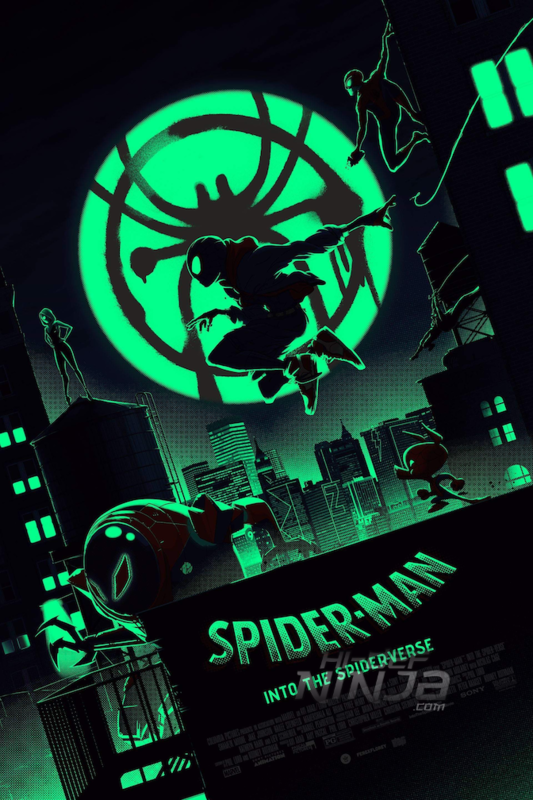 Into the Spider-Verse shows just how important it is to have a team there to help bring out the best in one another, and this group all came together and used quite the artistic approach to create such an exceptional poster! Spider-Man: Into the Spider-Verse Goes On Sale through Sunday, January 27th at 11:59 PM est. at Grey Matter Art and Bottleneck Gallery. Edition size will be determined by the number of prints sold. Sunday, January 27th @ 11:59 PM est.